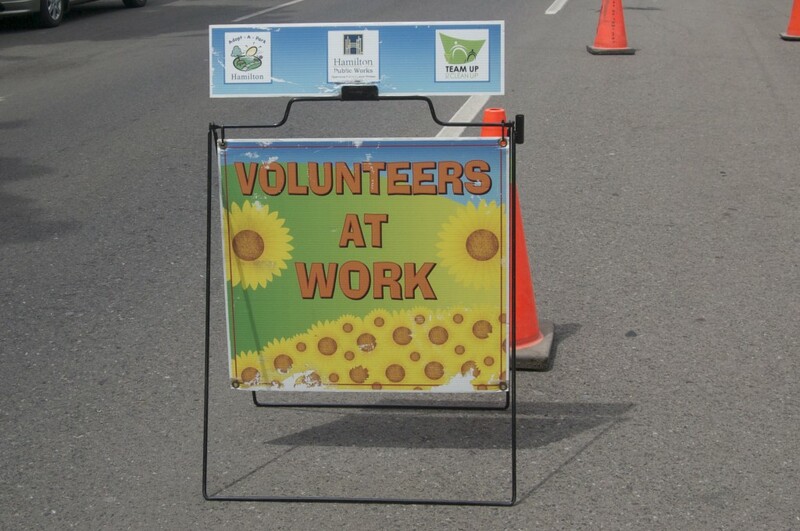 A big thank you to all the volunteers that came out to lend-a-hand on Saturday. The weather was perfect and thankfully not too hot and a lot of work got done! Jackie Isbister picked up all the cigarette butts lying around. Steve Brydson raked and bagged leaves around the park. Kelly Foyle mulched all the trees. Then there was a big team who took on the huge job of cleaning the berm. 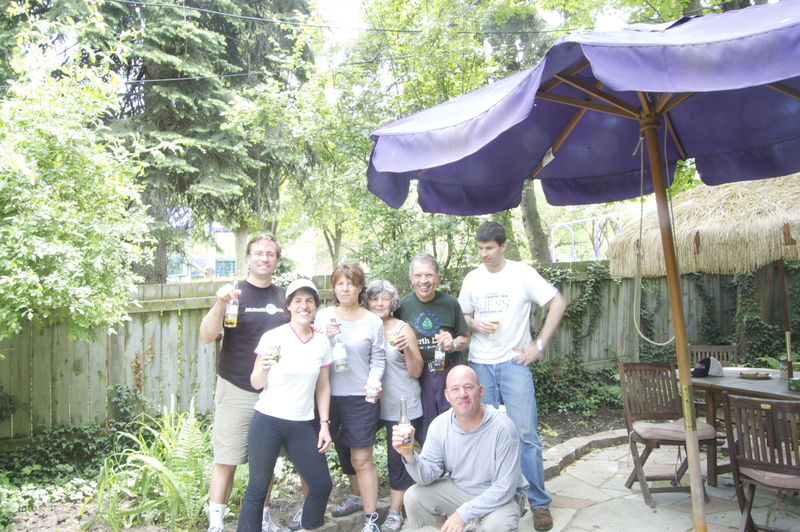 Janice Brown, Linda Miocinovich, Bob Gill, Dave Zahoruk, April Takeda, Simon Kiss and John Hawker. These folks cleared the thistle, cut down the small trees growing up and trimmed back all the weeds. The kid crew took on the job of litter pick-up. It was hard work, but the park looks better for it. Hopefully, we will have an even bigger crew next time! After a lot of hard work, we enjoyed a well-deserved drink! Councillor Farr Reassures Duranders Following Weekend Vilolence at City Housing Complex. 2 comments on "A Successful Park Clean Up"
My Wife and I love this community/neighborhood and would’ve loved to have been there to help!